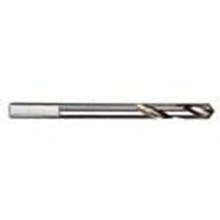 Centre drill for TCT cutters Endura (0902). 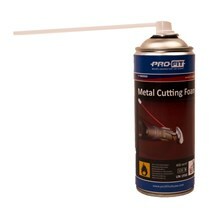 Metal cuttin foam for TCT cutters Standard (0900) and Endura (0902). Metal cutting foam is recommended when drilling in all kinds of metal with HSS Bimetal saws or TCT cutters. Use ProFit cutting foam, for a smoother cut and a longer life. Accessories Multi Purpose Long (0928) Click&Drill®. The ideal cutter for heavy metal work, magnetic drilling presses become obsolete. The multiple angles of teeth ensure a perfect cut. The Endura has a long tool life, is regrindable and cuts up to 5 times faster than a HSS Bimetal hole saw. 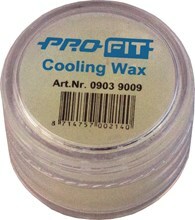 Using ProFit cutting foam, for a smoother cut and a longer life, is recommended . Fur use in: Stainless steel, steel, aluminum, copper, cast iron and metal alloys. Multi Purpose Long hole saws with TCT teeth and an integrated Click&Drill® adapter (0928). For deep holes up to 152 mm. A. First drill a hole with a 10 mm Lewis type Auger drill or masonary drill. B. Click the centerpin onto the Multi Purpose LONG. C. Put the centerpin in the pre-drilled hole and start carefully sawing with the Multi Purpose LONG. Use a drilling machine with sufficient power because of the high torque required for these holesaws. The size of the hole may differ because of the way of drilling. The tolerance of the hole saw may differ +/- 1 mm. Use safety goggles and turn off the hammer function of your drilling machine. The manufacturer accepts no liability for injury or damage to materials. Use the Multi Purpose holesaw at the recommended speed. 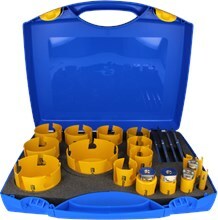 Multi Purpose Long hole saws sets with TCT teeth and an integrated Click&Drill® adapter (0928). HSS Bimetal PLUS hole saws for use in metal with an integrated Click&Drill® adaptor (0904). Special tooth gerometry for a smoother cut and better chip clearance. Variable pitch 4/6 teeth per inch. Integrated adaptor, for quick change and easy removal of the plug. To be used in steel, cast iron, messing, copper, aluminum, wood and hard plastics. HSS Bimetal PLUS hole saws sets for use in metal with an integrated Click&Drill® adaptor (0904). 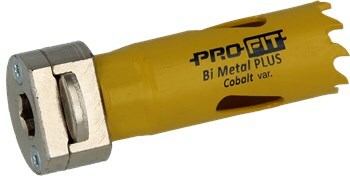 HSS Bimetal PLUS hole saws for use in metal with an integrated Click&Drill® adaptor (0905). Constant pitch 6 teeth per inch. 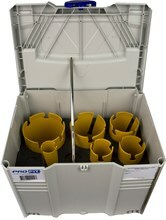 HSS Bimetal PLUS hole saws sets for use in metal with an integrated Click&Drill® adaptor (0905). 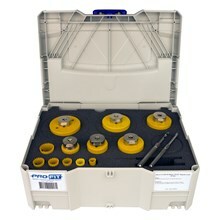 Centre drills for Bimetal Plus hole saws Click&Drill®. for HSS Bimetal hole saws (0904 en 0905), cutting depth 38 mm. 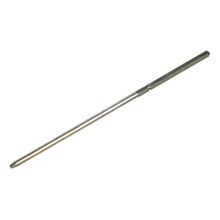 Size 1 (hex 8 mm) for hole saws 14-30 mm.